Ms. Phil O’Neill has been appointed Assistant Chief Executive Officer of Charter Medical in Smithfield in Dublin, where she is responsible for the development of the complex. She was formerly Head of Operations & Clinical Support/Designated Deputy Chief Executive at Dublin’s Mater Hospital. Phil began her career in the health services in the Royal Victoria Hospital in Belfast and during her time in the Mater held appointments as Patient Services Officer and Clinical Support Manager. She has a strong record in promoting excellence in customer services at managerial organisational level. 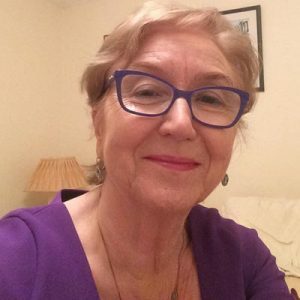 While in the Mater, she was the driver of the whole hospital complaints policy launched in 1999, she instigated the development of patient satisfaction surveys as a measure to improve services and was instrumental in introducing the hospital’s Patient Council to allow service users to influence improvements. She pioneered the establishment of a dedicated Warfarin Clinic and was responsible for compliance with HSE targets. Charter Medical, which opened in 2006, provides the Mater Smithfield Rapid Injury Clinic, a Diagnostics Suite and, in partnership with the HSE, a Rapid Access Clinic for older people within the Mater catchment area.